Kitchen appliances need to be sanitised regularly as they are used daily and easily get filled with grease, burnt food and stains. Spending your leisure time in scrubbing and polishing inside your cooking appliances isn’t something most people like to do. If you want to have perfectly clean oven in your home or commercial estate, use our professional help. The oven cleaning which we offer to the residents of Clapham SW4 is professional and inexpensive. Get in touch with our call centre or use our online chat to schedule it for a preferred time. Our oven cleaning services are suitable to be used in homes and commercial establishments. For the last mentioned excellent hygiene of the oven is required by the law. If you rely on us to provide the oven cleaning, your cooking appliances will be in top condition at any time. Our cleaners will dismantle the trays, racks and other removable parts and soak them in cleaning solution. They will use the proper cleaning solution to scrub inside the oven, remove the grease and residue form the hobs and the body of the oven. The cooker parts will be soaked, wiped and reassembled. Our cleaning personnel will put them back on their places. 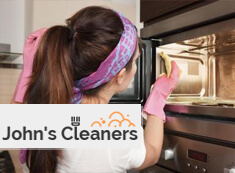 Use our reliable cooker cleaning services, provided in Clapham SW4 to maintain your appliances spotless. You can save yourself the the time and efforts spent in trying to keep your oven hygienic and rely on the professionals in our company to do this work. We recommend regular cleaning of your domestic and commercial ovens to keep them flawless. Use our oven cleaning services which we provide in SW4 Clapham every day.